Five Rings Community - Come out and see what we've done at Friends of the Children! ! ! Official Belt Ceremony, Friendship Open Roll Session, and BBQ at Friends of the Children on March 9. Saturday, March 9 (11 am - 1 pm) will be a BIG day for Five Rings and for the Jiu Jitsu program at Friends of the Children. Why? It will be the 2nd ever official belt ceremony and it's a sign of how successful the program is in its second year. Five Rings' adults --> This is your opportunity to see what you have created with the fundraising dollars from our last two Grapple A Thons, which is a thriving martial arts program for children who wouldn't otherwise have access. 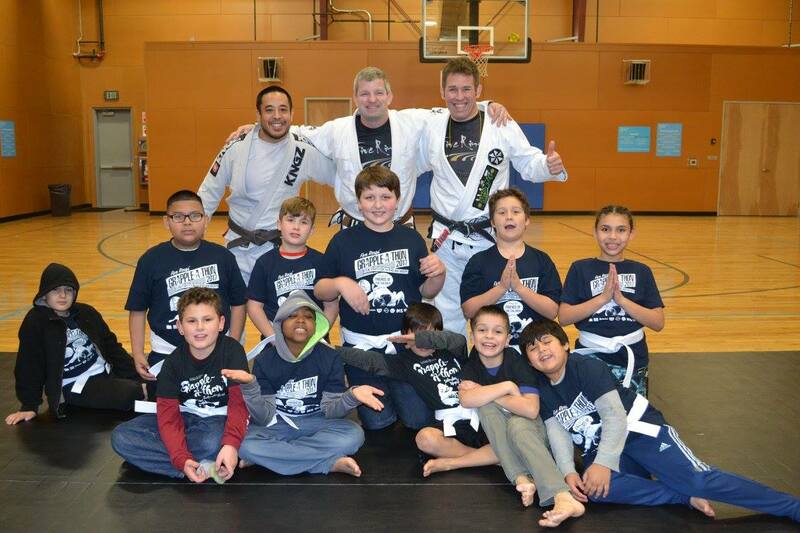 The over $25,000 we've raised for FotC's Jiu Jitsu program has funding a very successful program. Total number of kids that have had contact with Jiu Jitsu over the last two years - approx. 70 in weekly Jiu Jitsu classes and closer to 100 if the summer camps are counted. Totally funded by the money raised by the Five Rings community raised (the wrestling mats, uniforms, instruction, special events ... all of it). But more importantly, come out and SEE the program that you've helped create and celebrate it's success with us! ! ! This is a COMMUNITY event. We want all the elements of the Friends of the Children - Portland (the children, the friends / mentors, the parents, and the support staff of FotC) to see all the elements of Five Rings (coaches, adult sponsors, our children, family and friends connected to Five Rings) and enjoy each other's company and take a moment to be grateful. It's time to celebrate a simply wonderful program! ! ! Five Rings' youth --> come out and be a part of a gym exchange / friendship roll with the youth of the Friends of the Children Jiu Jitsu program. It a great way to participate in an event that brings people together to share in the joy of Jiu Jitsu and training in a fun, challenging way.